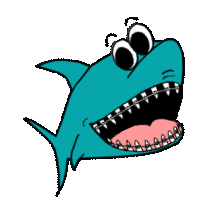 So you think you may be orthodontically inclined. How do you get from “here to there”? Well, lets just say that it takes lots of determination because nothing worthwhile comes easily. The bad news is that you can’t go directly to Orthodontic school, there are a few hoops to jump through first. . .
Any college, and pick a degree you have an interest in, because you will need to do well at it to get into dental school. There is no specific “pre-dental” major, but many dental schools will require you to take some basic science courses such as biology, biochemistry, chemistry, organic chemistry and physics. The purpose for this is to prepare for the dental school versions of these courses which you will be required to take. Grades play an important role in the application process, but are not the only thing required. This is a biggie so don’t take it lightly. Click DAT above for more information from the ADA on the test. It is generally taken in the 3rd or 4th year of college and tests your knowledge of the basic sciences, so it is to your advantage to take them before the test. There is also a section which tests your perceptual abilities. This changes a bit from year to year, but the idea is to figure out if you are able to visualize and manipulate 3-dimensional objects in your mind. This is important to the technical side of learning and doing dentistry. The combination of college grades and D.A.T. scores are largely what the admissions committees look at when you apply to dental school. You will also be personally interviewed when you visit some schools. Many states have accredited dental schools. You can visit the ADA website for more information. OK, reality check, you’re a step closer, but still have lots of hard work ahead. 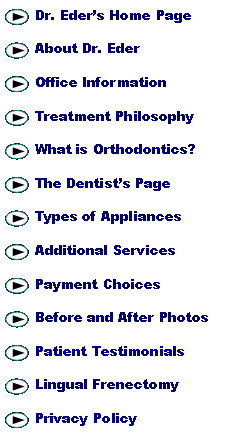 Since orthodontics is a specialty of dentistry, you sort of have to be a dentist first. Dental school is tough without a doubt, but if you’ve got the determination you can do very well. Residency is the final step in the process, and they are very competitive to get into. The two most highly scrutinized criteria for selection by most admissions committees are dental school grades/class rank and part two of the national dental boards scores. These two items are the screening tools used to select the top candidates. Most schools then conduct interviews to make final selections. Several options exist for new graduates. They all have advantages and drawbacks, which must be considered. If you get rejected at any step in the process DON’T QUIT. Set your goal and go there! If you are “in the running” reapply because many committees do consider persistence to be an asset.